Graphic from a 2002 Purdue University report on hemp. If you click on only one link, make it this one: lots of information presented scientifically by people with no vested interest in promoting cannabis. I first heard about the amazing usefulness of hemp when I was in college, 25 years ago. I had gotten onto the mailing lists of various environmental organizations, and from time to time they mentioned that hemp is excellent for making biofuel, food for humans and animals, rope, clothing, paper, plastics, construction and auto-body materials, skin moisturizers, and animal bedding–but it had been illegal to grow in the United States since 1937 because hemp is the same plant species as marijuana. Even though a crop of cannabis grown for hemp is planted and nurtured very differently from one grown for marijuana, so that one can’t actually harvest both hemp and marijuana from the same plants, in the 1990s hemp could be grown only in a few countries, like Romania. I read a lot about hemp in the 1990s, including an entire book, Hemp Horizons: The Comeback of the World’s Most Promising Plant by John W. Roulac. Writing in 1997, he was optimistic that the U.S. government would soon see the sense of legalizing hemp cultivation to help reduce our dependence on fossil fuels, resource-intensive and chemically-dependent crops like corn and cotton, and deforestation. I was optimistic, too! I bought every imported hemp product I could find and afford, to demonstrate that there is a market for it. By 2000, I’d tried hemp twine, hemp lotion, hemp lip balm, hemp protein powder, hemp seed oil (you can’t cook with it, but it’s tasty on oatmeal instead of butter), hemp Adidas sneakers with recycled rubber soles (great!! ), a hemp canvas purse (okay, that was not as durable as leather or nylon), and the 55% hemp 45% cotton sweater I’m wearing here. Both the company that made this sweater and the catalog that sold it are now out of business–but plenty of other hemp+cotton sweaters are available now! This is a recent photo. I’ve had the sweater at least 18 years and worn it regularly every winter! It’s amazing. Stains wash right out. It never stinks, no matter how much I sweat or how many times I wear it between washings. It’s soft and warm. I’ve snipped the occasional dangling thread, but it has never needed any mending. I’d still recommend Hemp Horizons to anyone interested in learning about hemp’s uses and its history up to 1997. But the change it predicted took a long time coming…and when it did, nobody told me! Oddly enough, at the same time I heard nothing about that, I heard a whole lot about the gradual legalization of marijuana. I’ve followed that issue with interest, too. After years of working with research data that included detailed information on participants’ substance use, after reading my friend Andy Looney’s eloquent arguments for legalization and hearing about his exploration of the legal marijuana scene in Amsterdam, after learning that our bodies produce endocannabinoids (substances similar in structure and function to phytocannabinoids found in cannabis plants) and we have receptors specifically for cannabinoids, after learning that cannabis never kills anyone (unlike alcohol! ), after reading more and more about the medical uses of marijuana and personally knowing many people who found it more effective with fewer side effects than any other drug, after spending many hours hanging out with stoned people and seeing how different they are from drunk people . . . I could only conclude that marijuana should be legal for both medical and recreational use by adults. The other news nobody told me was the series of discoveries that cannabidiol (CBD), a non-psychoactive cannabinoid, shows great promise for treating a wide variety of physical and mental health problems. I didn’t hear about CBD until a chance conversation at church coffee hour in late 2017 . . . And then, once I looked around, I realized it’s suddenly everywhere! There are at least 4 places to buy CBD, legally, as a packaged consumer product, within one mile of my house! I’ve learned a lot about CBD, both through research and through experimenting on myself, and I’m presenting my findings in this article at Kitchen Stewardship! Twenty years after the publication of Hemp Horizons, we are finally getting a glimpse into what legalizing cannabis–both hemp and marijuana–means for our health, society, environment, and quality of life. It’s taken so much longer to get here than I imagined as an idealistic college student! I didn’t picture my middle-aged self rubbing CBD oil into arthritic feet–but I’m so glad that I can. And at least it happened soon enough that I’m still wearing the same sweater. 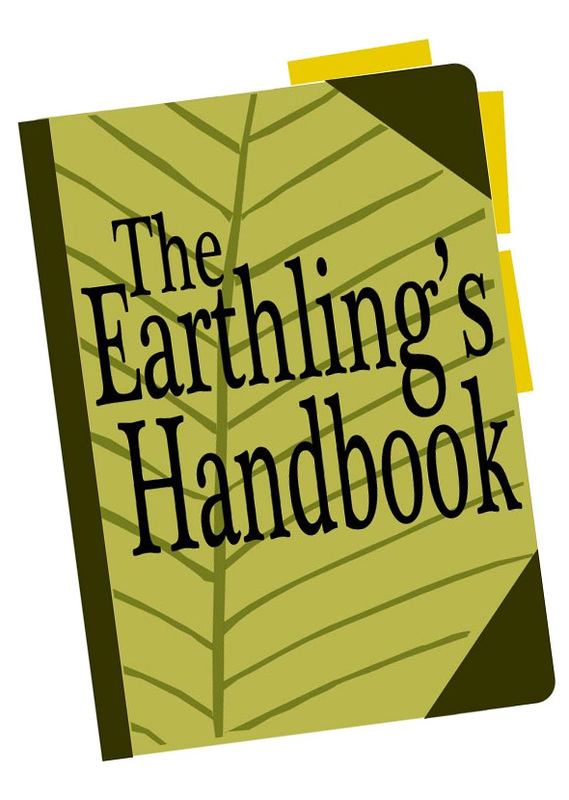 Visit Hearth & Soul for more great tips about living on Earth! Great post, ‘Becca! I’m very interested in reading more about this in your Kitchen Stewardship article. I love eating hemp seeds in my oatmeal or cereal – they’re a good source of protein and iron. Yes, it became legal in Canada a few years after I started buying hemp stuff; that’s when the food products (as opposed to fiber products) became more available and affordable here. I agree that hemp should be legally grown, and I also agree with the legalization of marijuana, but I do still have a few issues with the legalization of pot. Right now I a surrounded by illegal pot farms and it isn’t fun. My complaint is that laws have been made about it’s cultivation, but they are not being inforced! I have dealt with pit bulls challenging me on my own property, gun shots (their signal system) at all times of the day and night, “trimmers” up in the fall harvest season that seem to be from the lowest rung of our society, wandering through my property flying high on some substance other than pot, the omnipresent overpowering smell during harvest season, and the amount of pesticides, insecticides, rodenticides and what other illegal substances getting into our ground water from these illegal farms. We can’t keep bees anymore because of it (in my latest post). Hopefully with legalization our state and county will make enough money to start enforcing the laws they have made! YIIIIIKES!!! That sounds horrible! Legalization should help with the hostile security and labor issues, just by making the enterprise less risky and the jobs available to more legitimate workers. It might also help with the chemical runoff, depending on the standards set by laws and the market. Legalization definitely brings money into the government (by taxing a product they were formerly unable to tax) but it has to be spent wisely!